4bd (2-non-conf) 2bth, Westwood Heights home! Near schools, shopping, restaurants, golf, YMCA, Interstate! Huge double lot yard. 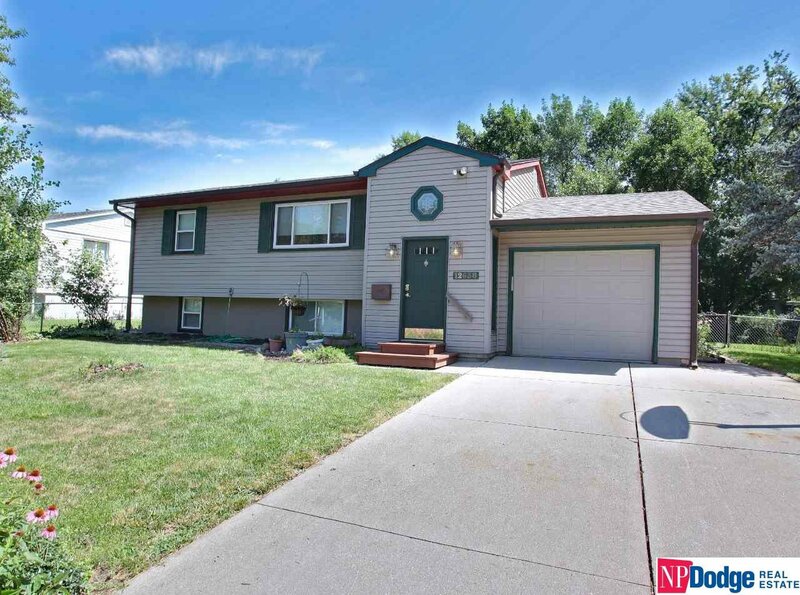 New Windows, Garage Door, Roof, A/C, Furnace, Hot Water Heater, Kitchen, Bath all in 2015! Kitchen includes new cabinets, lighting, mosaic tile backsplash & cement counters. Flooring updates include corkboard and laminate wood on main floor and vinyl plank flooring in basement. Level back and side yard is perfect for barbecues and kids play space. Don’t miss this one. Listing courtesy of NP Dodge RE Sales Inc 108Dodge. Selling Office: Exp Realty Llc.